Item # 281229 Stash Points: 5,195 (?) This is the number of points you get in The Zumiez Stash for purchasing this item. Stash points are redeemable for exclusive rewards only available to Zumiez Stash members. To redeem your points check out the rewards catalog on thestash.zumiez.com. Known for their stylish collaborations with artists, 5Boro is proud to announce their newest collection with artist Dan Funderburgh, a Brooklyn based artist/pattern maker well known for his intricate designs illustrating objects. 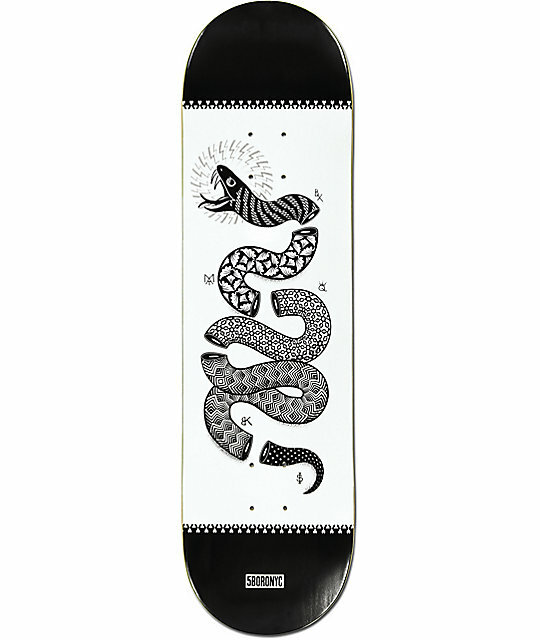 This particular board features a rendition of the iconic "Join or Die" snake motif in a black and white colorway, made from a 7-ply construction, and a medium concave. 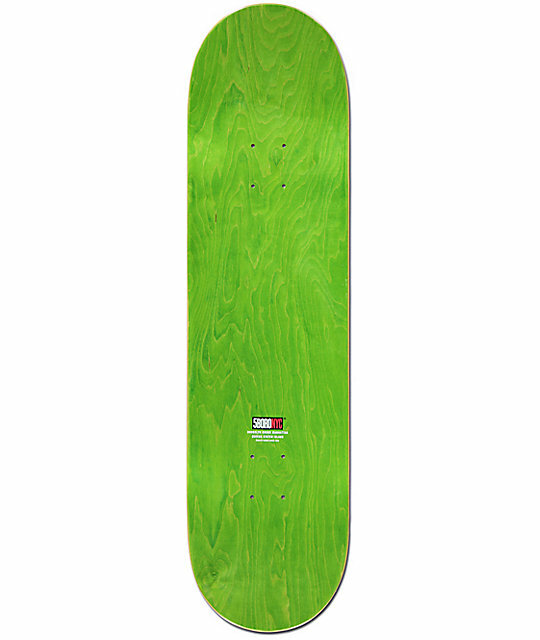 Snake 8.5" Skateboard Deck by 5Boro x DF. Signature collaboration between 5Boro and artist Dan Funderburgh.